Edumagix is mainly used by 4 types of user i.e. ERP user/Data Entry,Management,Teacher and Parent/Student all type of user can be accessed from both Web and mobile platform . Complete platform get summarised here and management can see all activities,reports are in very prescribed format for management purpose ,in minimum time maximum result can be get. 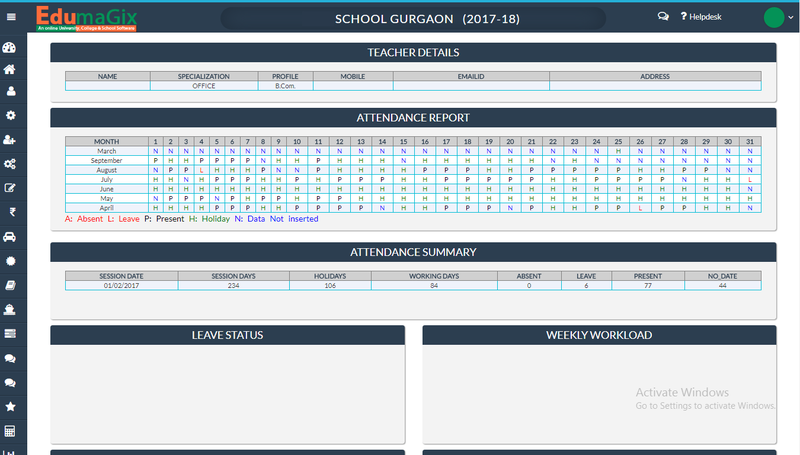 Teacher will have quick view menus for updating Home work,Marks,class Attendance etc very efficiently from this specialized teacher interface. 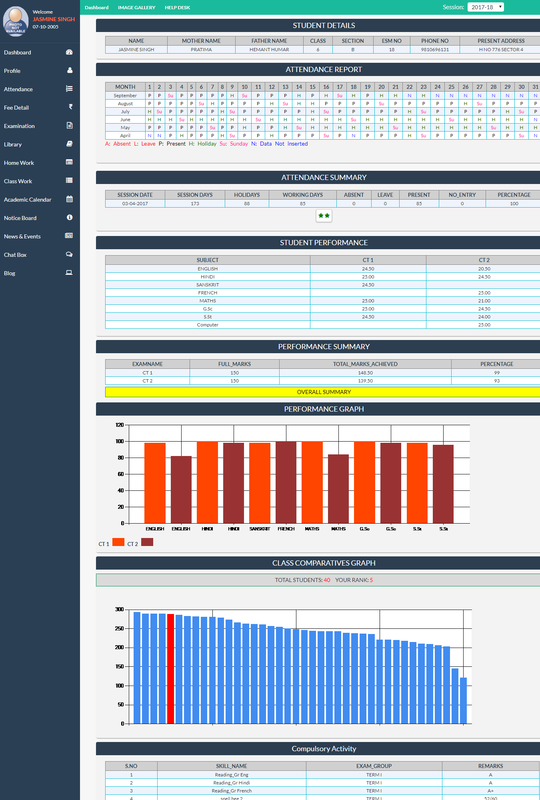 Very descriptive and securuty right based interface for data entry and routine work entry for all type of front end users of school. 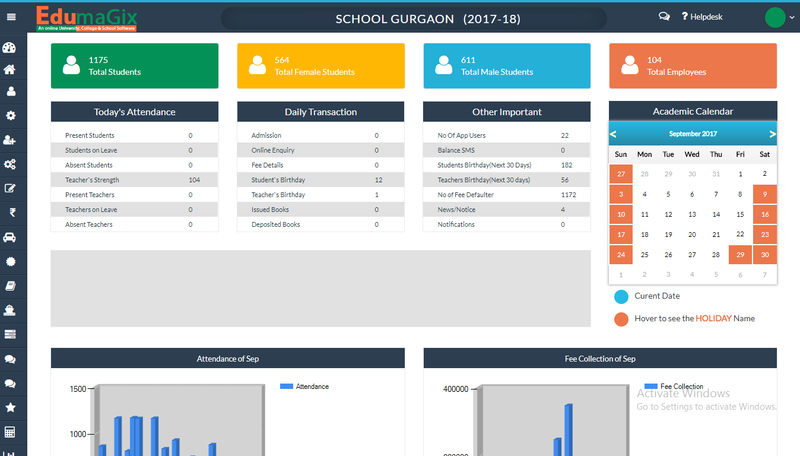 This Interface will provide 360 degree view of performance of student and can also get all notifications, notices and alerts from school,can deposit fee online etc..